Airtherm Engineering's track record of successful and efficient projects was demonstrated by the recent installation of our 'Canvent' Island kitchen canopy system at Elmhurst Primary School in Newham, London. The project involved the successful liaising between Fowler Martin, AC Preou Limited and Newham Council (consultant, contractor and client, respectively). Airtherm Engineering Limited liaised with both the consultant and the contractor at all times, attending site meetings, providing comprehensive technical submission, including calculations and drawings for approval prior to manufacture of the equipment. Our aim was to deliver a complete ventilation package to our client that was fully compliant with current legislation, and endeavour to exceed our customers expectations whilst fulfilling all the demands of installing our kitchen canopy, using our own qualified installation team. The canopy was manufactured from 304 (En 1.4301) or 316 (En 1.4401) stainless steel where specified and are suitably braced to prevent product distortion. All joints are welded and polished. The island canopy was cut, punched and folded into sub sections and factory assembled by means of computer controlled seam welds, and non-visible mechanical fixings. 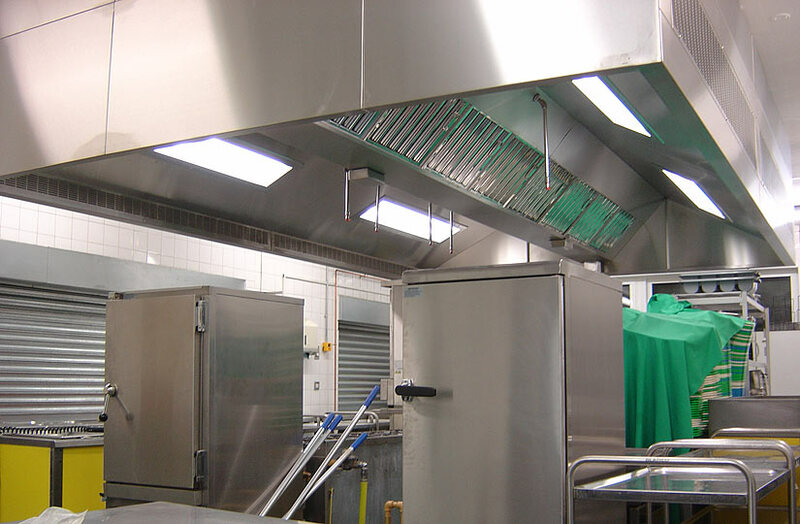 Systems are manufactured to the strict guidelines of DW/172, British Standards and conform to HSE for commercial Kitchen ventilation. The system ductwork was manufactured and installed incorporating cleaning and maintenance access doors where required to fully comply with DW/144 & TR/19 standards. The units are designed and manufactured to deal with a wide ranging and varied commercial application, and can deal with humidity, condense rich, as well as hot and greasy environments. These units are normally recessed into the canopy ceiling providing easy cleaning and maintenance of the unit exterior. This also helps to greatly reduce the build-up of grease and other contaminates usually associated with the commercial kitchen environment. 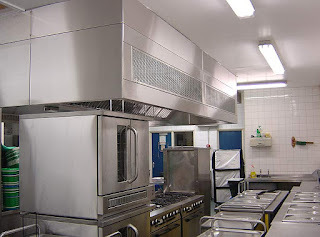 The island kitchen canopy was fitted with a R102 Ansal fire suppression system which conforms to NFPA standards 17, 17a and 96 and is UL300 listed by Underwriters Laboratories Inc . 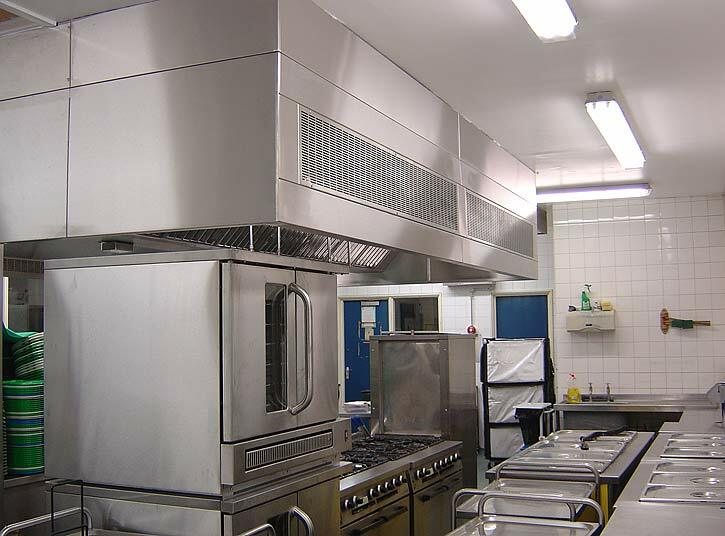 The system was supplied with nozzles, detectors, cartridges, liquid agent, fusible links, pulley tress and elbows as required for the specific commercial kitchen application at Elmhurst School. We can undertake turn-key packages from the simply design and installation of the equipment to providing you with all necessary builders work, electrical wiring and commissioning of the complete system.